Fastastic. Smashwords, you are the best. Mark, I think there's a problem with the uploader on the Smashwords site. I've sent two emails with no response, but I've been trying for 24 hours to upload my second book and can't get it to work. Nice work though smashwords - F A B! Hi Mark - my POD proofs for my children's book The Secret Lake are en route to me from Amazon CreateSpace. My next job is to format the book for e-reading and to send it to you. (I have the Smashwords style guide etc here - the most entertaining style guide I've ever read!). I have a UK ISBN for the print version - and bought 9 more. 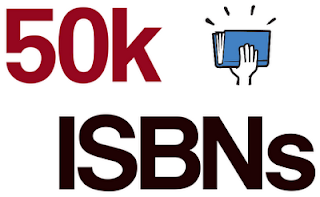 As I have other books in the pipeline and the ISBNs aren't cheap I would like to use one of yours for the e-version if my manuscript is accepted at your end -is that how it works? Or am not able to mix and match ISBNs from the UK/USA? I've been trying to assure authors that they don't have to buy ISBNs in order to protect their copyright, so I appreciate this post. Big thanks to Mark for continuing to look after Smashwords authors. I am very grateful for all the hard work that you and the team at Smashwords do. You have got to say that Mark Coker and the Smashwords team certainly look after their authors. Fair play to everybody there and thank you from all us authors. Mark, I'm afraid you are adding to the misconceptions regarding proper use of ISBN. You DO need to get a new ISBN if you change the title of your book after it has been offered for commercial sale. You also have to get a new ISBN if you change the content of the book for anything other than correction of typos and the like. For example, an updated "edition" of a book requires a new ISBN. Changes to other things, like the subtitle, description, price and other ancillary metadata, do not require a new ISBN. I was one of the organizers of a children's writers conference a few years ago. Our theme was: "We're all in this together." We were roundly criticized by the keynote speaker, a famous children's author, who named her keynote speech, "We're all in this apart." In my opinion, Mark is right on. This brave new world of self-published ebook authors cannot go forward and garner the respect we deserve unless we help one another. I also believe that the majority of us here think the same thing. Thank you, Mark, for your integrity and the respect that you show to the authors here every day. This is great news! I'll be purchasing several of them myself, for sure! Smashwords, you rock! I too got my numbers before the announcement. I was anxious to get them as I love being organized!